FEVE, FERVER, EXPRA and EuRIC are committed to increasing the quality and efficiency of the glass recycling value chain through separate collection, quality recycling and closed loop manufacturing of glass. 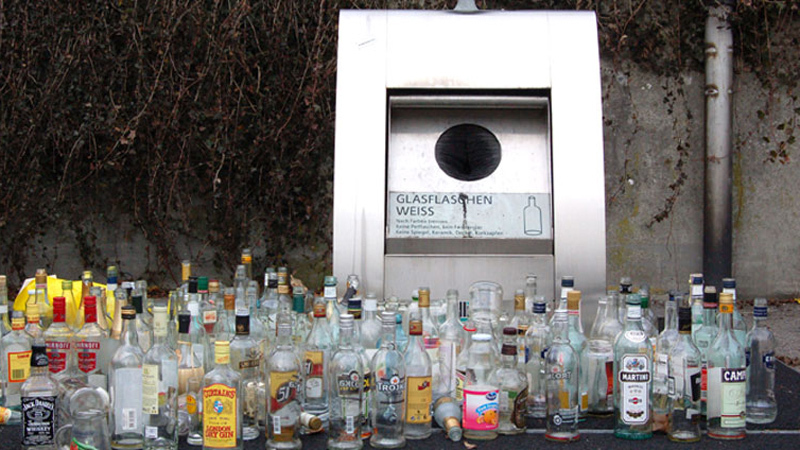 To help achieve this, a single, harmonised, ambitious and enforceable calculation methodology for the reporting of glass recycling in all Member States is needed. All material streams should have an equal level of ambition when reporting recycling rates, regardless of the complexity of different recycling value chains. In the case of glass, FEVE, FERVER, EXPRA and EuRIC have a common understanding that the measurement point is at the input to the cullet treatment plant, as this is the “recycling operation” where waste is “actually reprocessed into products”. They also take the ambition further and propose that non-glass losses and non-targeted materials should be deducted. “We are delighted to have such a strong partnership calling for comparable and ambitious reporting on glass recycling” stated Adeline Farrelly, Secretary General of FEVE. “Measuring real recycling will drive local implementation of high quality separate collection for glass”. FEVE, FERVER, EXPRA and EuRIC also recommend maintaining a clear and consistent legal framework between the End-of-Waste Regulation, the EU Waste Framework Directive and the EU Packaging and Packaging Waste Directive, which supports an ambitious and comparable implementation of the reporting. “The measurement point for reporting on recycling rates in the Directive clearly refers to the actual reprocessing into products, materials and substances and must therefore be consistent with the EU end-of-waste criteria established for glass” insisted Baudouin Ska, Secretary General of FERVER. Emmanuel Katrakis, EuRIC Secretary General, further emphasized that “it is key to show that the entire glass sector agrees on a single, robust and harmonised point of measurement for glass recycling which supports end-of-waste criteria and will further drive quality along the value chain”. The European Commission is still to finalise implementing legislation establishing rules for the calculation, verification and reporting of data for verifying compliance with the recycling targets set in the Waste Framework Directive and in the Packaging & Packaging Waste Directive. EXPRA’s Managing Director, Joachim Quoden, commented: “We strongly welcome a uniform definition for the measurement of recycling and believe that recycled waste should be measured at the gate of the recycling plant as the data can only be ascertained until the plant’s gate, in order to deliver fair and reliable statistics. We welcome the initiative by the glass sector to agree on the “recycling operation”, which is crucial in this respect”. Javier Constante, Commercial Vice President, Packaging and Specialty Plastics Business EMEA of DOW Europe succeeds Daniele Ferrari, CEO of Versalis, who was elected President of the European Chemical Industry Council at the end of October.